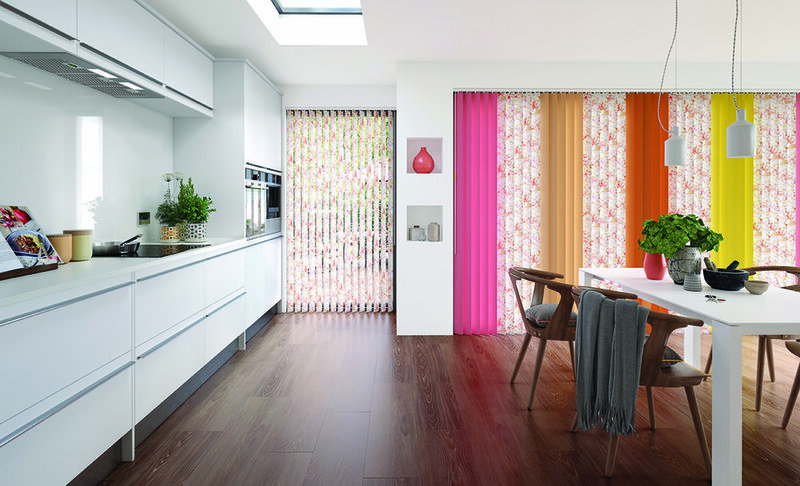 Stunning Contemporary Vertical Blinds - No longer confined to the office! 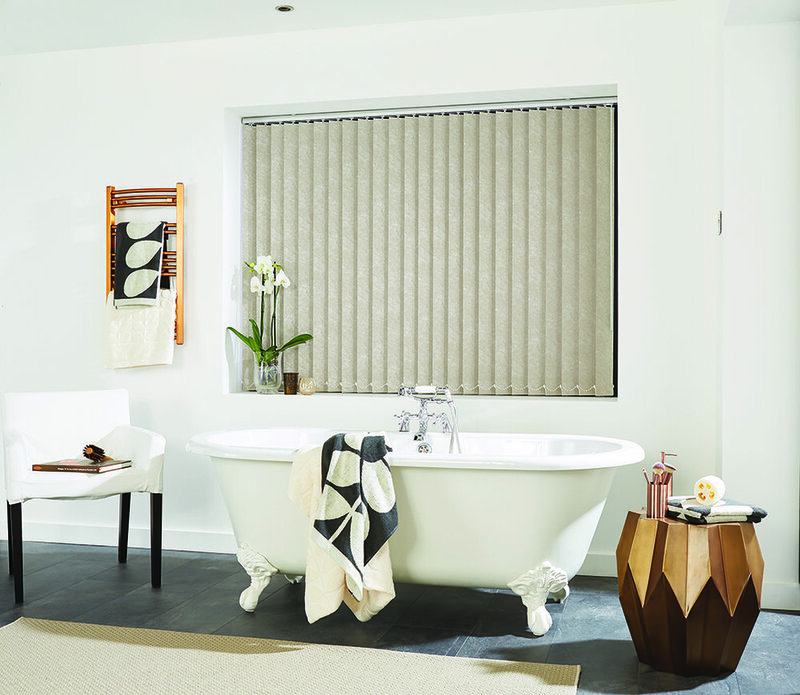 As an independent manufacturer of vertical blinds to trade, commercial and retail customers, we carry an extensive range of materials from different fabric suppliers. 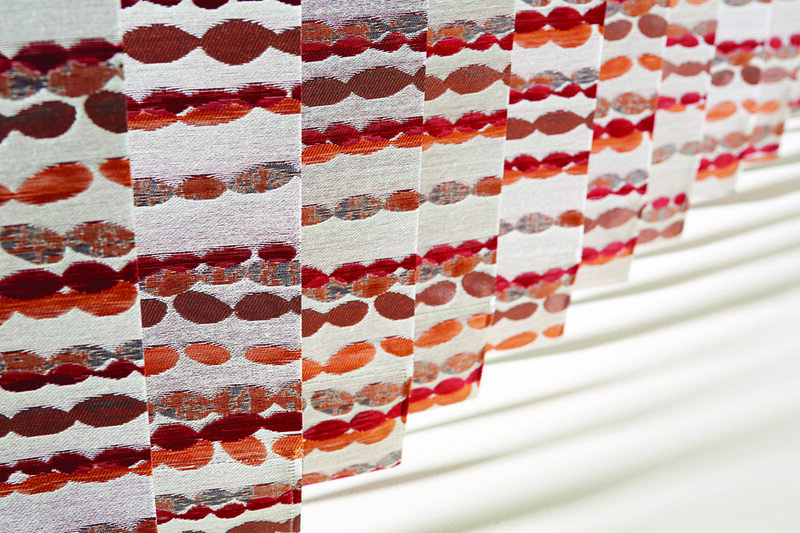 We have four books of vertical materials, 3 of which you can view the samples online. 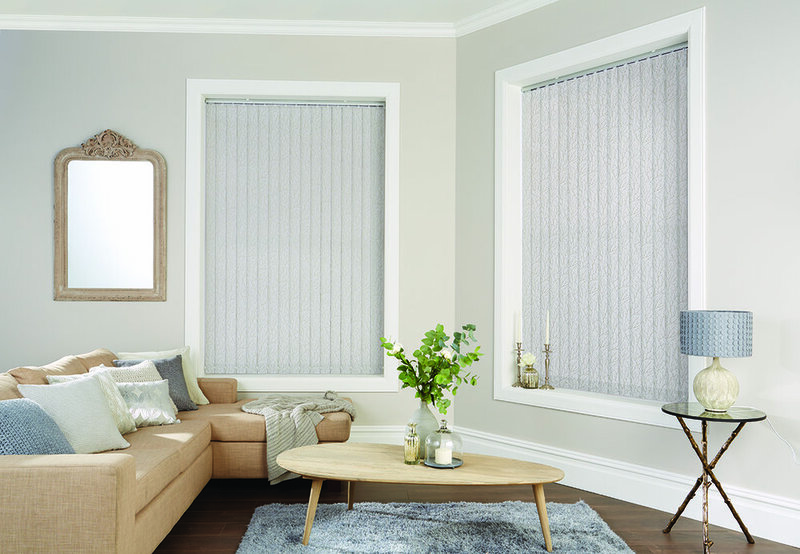 We manufacture our own vertical blinds and as such, we have the option to choose which vertical blind system we want to use to make our blinds! 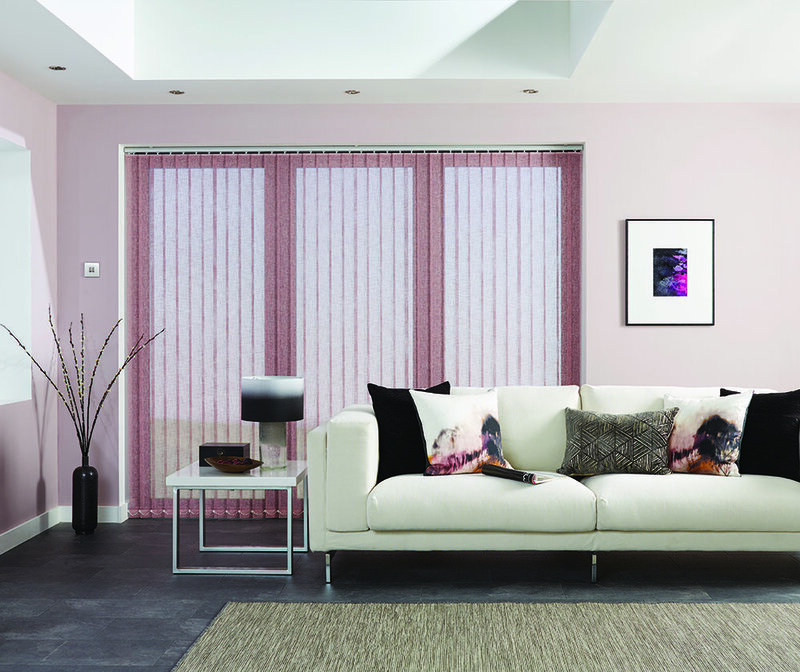 In the blinds industry there are many "vertical systems" but we chose the best one which just so happens to be entirely British! 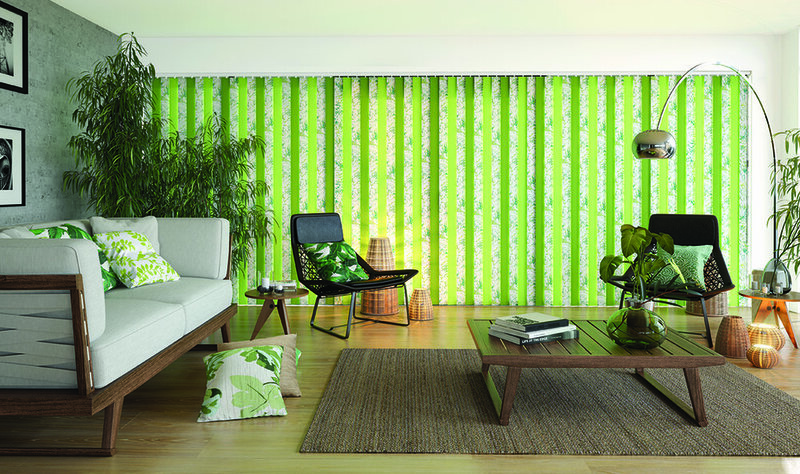 The Louvolite Vogue Slimline track system is by far the best track system on the market. With a curved fronted track system and UV stabilised components inside it is definitely not the cheapest, but is hard wearing, the smoothest in the market place today and one where all the components we need are British! Inside of our vertical tracks are carriers made from Nylon 6 which is a self lubricating plastic to ensure the track continues to run smoothly over the years. 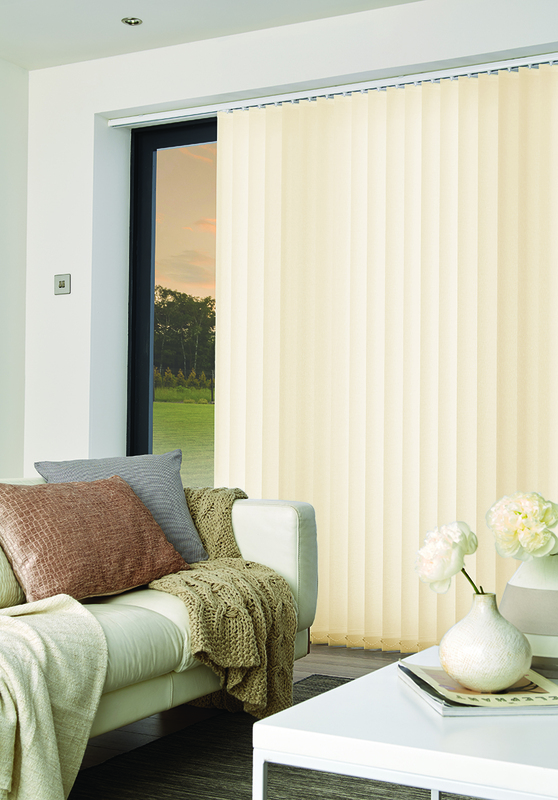 Each component is UV stabilised to prevent the components from going brittle over time. Each component is linked by a metal as opposed to plastic link for strength and longevity. The Vogue track system is operated by "Direct Drive" to ensure smooth tilting of the louvres as opposed to other vertical systems which use planetary gearing which takes longer to turn the louvres. By default we use metal as opposed to plastic chain because the metal tilt chain is significantly stronger. Wand operation is also an option which will remove the use of any cords in the track. Aesthetically, there is no other track system on the market which has a beautifully curved front and is available in as many colours. Is your track broken? 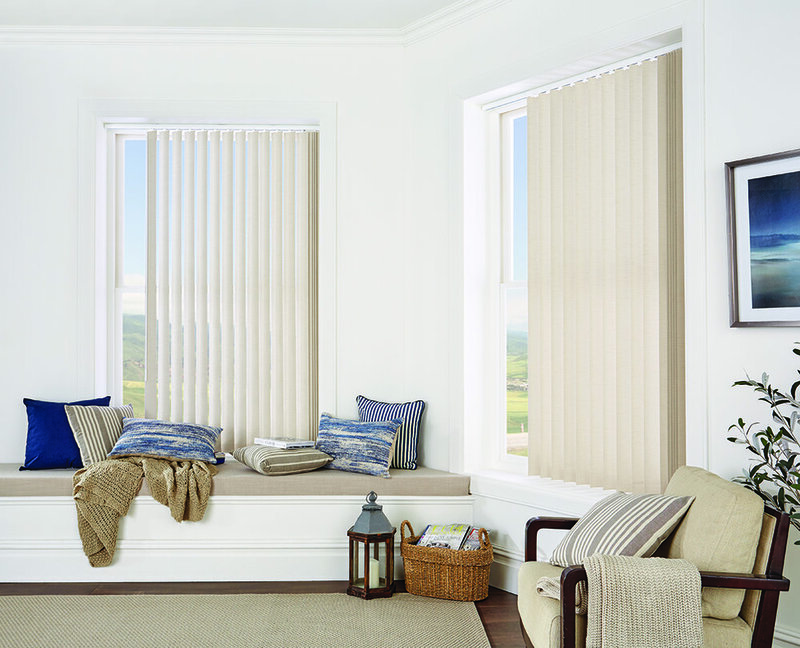 Other than completely new vertical blinds we can manufacture you just a new track. 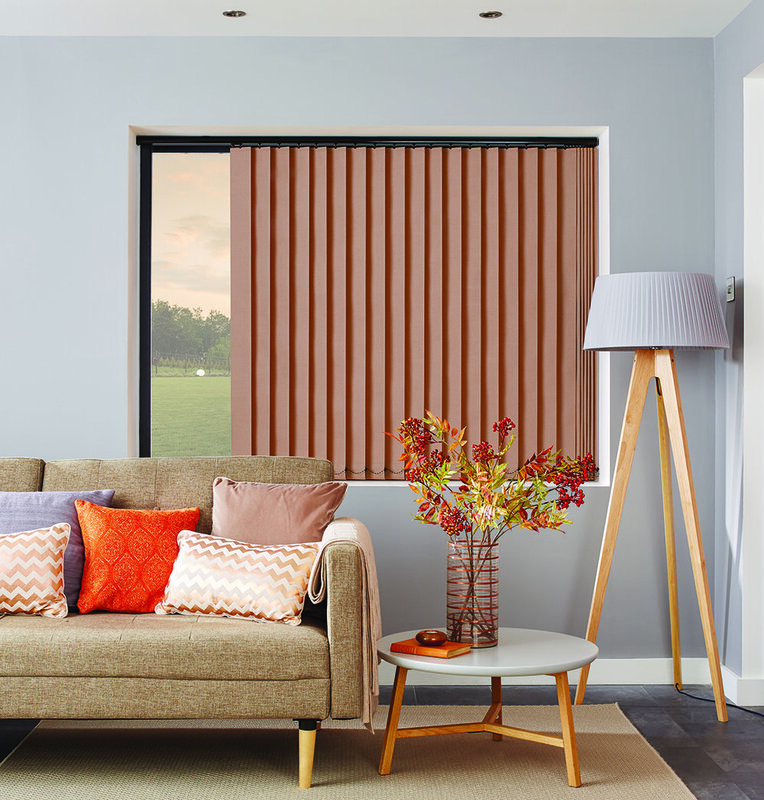 If you have an existing vertical blind and the track system is just fine, much of our vertical business is now supplying new materials to replace your tired and worn blinds without the cost of having to buy a completely new track system. We also offer a repairs service although we can only repair track systems for which we carry components. 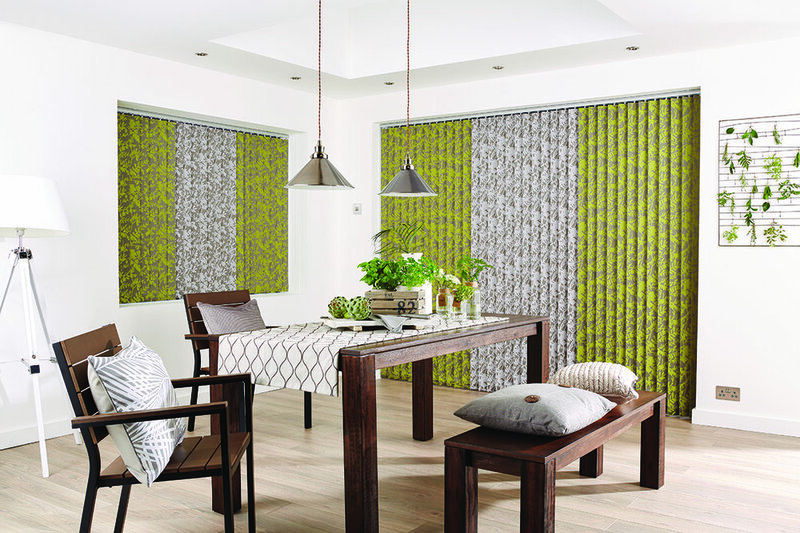 And we sell a range of spares including weights and chains which run along the bottom of vertical blinds from our showroom.